BLOODSTONE-WE GO A LONG WAY BACK. Eclectic. That’s the best way to describe Bloodstone’s music. Their music gradually evolved over the band’s lifetime. Bloodstone’s music has incorporated everything from doo-wop, soul, funk, R&B, rock, gospel and Latin music. It seems Bloodstone have constantly reinvented themselves musically. That’s no bad thing. Any group that stands still, risks becoming irrelevant. That didn’t happen to Bloodstone. Many other things happened to Bloodstone, who were formed in 1962, and originally called The Sinceres. The life and times of Bloodstone are best described as an action-packed adventure. They’ve survived a change in name, several change in musical direction and various changes in lineup. Then there’s the thirteen albums Bloodstone released between their 1972 eponymous album and 2004s Now That’s What I’m Talking About. One of the thirteen albums Bloodstone released, was 1982s We Go A Long Way Back. It’s just been rereleased by Purpose Music Vaults, along with three bonus tracks. Before I tell you abut We Go A Long Way Back, I’ll tell you about the life and times of Bloodstone. It was back in 1962, in Kansas City, that a group of high school students formed a doo wop band The Sinceres. Over the next few years, The Sinceres established a reputation as one of the area’s top live acts. Between 1967 and 1969, they were touring with another Kansas City band, The Smokin’ Emeralds. They provided the horn section for The Sinceres, including for their version of a Motown review. By 1971, The Sinceres decided to leave Kansas City behind, and headed to Los Angeles. When The SInceres landed in Los Angeles, they met their managers, George Braunstein and Ron Ramady. Soon, changes were being made to The SInceres. Drummer Melvin Webb was replaced Eddie Summers, who lived in LA. The other change was their name. No longer were the band known as The SInceres. Now they were known as Bloodstone. Given that The Sinceres had been together for nine years, and established a reputation this was risky. It paid off. The newly named Bloodstone headed to London, where they signed a recording contract with Decca Records. Two albums were released on Decca, 1972s Bloodstone and 1973s Natural High, which sold over one-million copies. This was the highpoint of Bloodstone’s career. Natural High also gave Bloodstone their first hit single. This was Natural High, which reached number ten in the US Billboard 100 and number four in the US R&B Charts. With a settled lineup, Bloodstone had just enjoyed what would be their most successful album and the first of thirteen hit singles they’d have between 1973 and 1984. For Bloodstone’s next six albums, they were released on Decca and London Records, depending on the territory. Bloodstone’s music gained a reputation as both eclectic and innovative. From 1974s Unreal and I Need Time, right through 1975s Riddle Of The Spinx and 1976s Do You Wanna Do A Thing, Lullaby Of Broadway andTrain Ride To Hollywood, Bloodstone’s music contained elements of everything from funk, soul, gospel, doo-wop, Latin, R&B and rock. It was as if Bloodstone were trying to be all things to all men. Sadly, while they enjoyed a few hit singles, they never replicated the success of their sophomore album Natural High. However, in 1978, Bloodstone signed to what had once been, one of the biggest record companies in America. Motown. What had been a musical Goliath was no longer the force it used to be. Despite this, it would be Bloodstone’s home for their ninth album Don’t Stop. Released in 1978, Don’t Stop didn’t replicate the commercial success and critical acclaim of Natural High. It seemed that for Bloodstone, trying to get a hit was akin to getting blood out of a stone. That would change. However, it would be another four years before Bloodstone’s luck changed. In 1982, Bloodstone were signed to The Isley Brothers’ T-Neck record label. This would be where Bloodstone called home for two albums. The first was We Go Back A Long Way, which features just seven songs. For Bloodstone, this was make or break for their career. It had been nine years and seven albums since Natural High. It was Bloodstone’s career high. After that, Bloodstone had struggled to replicate this success. If what became We Go Back A Long Way, wasn’t a commercial success, Bloodstone’s very future could be in doubt. What they needed was a successful album, one that featured that elusive hit single. This meant Bloodstone needed quality songs. Of these seven songs on We Go Back A Long Way, the members of Bloodstone who contributed songs were Charles Love and David Wilson. Charles Love wrote We Go A Long Way Back and Nite Time Fun. He also cowrote Go On and Cry with Kitty Sears. They then cowrote How Does It Feel with Curtis and Oscar Love. Ronald Wilson penned My Kind Of Woman and with McKinley Jackson, cowrote Funkin’ Around. McKinley joined Valerie and Shirley Jones of The Jones Girls in writing My Love Grows Stronger. These seven songs were recorded by Bloodstone at Conway Recording Studios, Los Angeles and produced by The Isley Brothers, who were enjoying the hottest streak of their career. At Conway Recording Studios, Bloodstone joined by some top session musicians. Bloodstone’s lineup included vocalist and guitarist Charles Love, percussionist Henry Williams, guitarist Willis Draffen, Ronald Bell and Ronald Wilson. Augmenting Bloodstone were an experienced and talented rhythm section of drummer Leon Ndugu Chancler, bassist Freddie Washington and guitarists David T. Walker and Charles Fearing. Despite Bloodstone having two guitarists, producers The Isley Brothers hired two more. Clydene Clark played piano and Reggie Andrews synths, while David Jackson’s L.A. Strings and David Stout’s Horn Section were brought onboard. McKinley Jackson who cowrote two tracks, produced these tracks and arranged the horns and strings. Nothing it seemed, was left to chance. The Isley Brothers realized the importance of We Go Back A Long Way. They weren’t in the habit of being associated with albums that weren’t a commercial success. For the past few years, nearly everything they touched turned gold or platinum. Would this be the case with We Go Back A Long Way? On the release of We Go Back A Long Way in 1982, it was reasonably well received. However, We Go Back A Long Way stalled at number ninety-five in the US Billboard 200, but reached a respectable number eleven in the US R&B Charts. The lead single We Go Back A Long Way, reached number five in the US R&B Charts. Go On and Cry then reached number eighteen in the US R&B Charts, while My Love Goes Stronger only reached number forty-four in the US R&B Charts. Although We Go Back A Long Way hadn’t been a huge commercial success, it featured a top ten US R&B hit. This was an improvement on their previous album. Sadly, it was a long way from Natural High. Would they Bloodstone ever experience another Natural High? That’s what I’ll tell you, once I’ve told you about We Go Back A Long Way. Opening We Go Back A Long Way is the second single Go On and Cry. A roll of dramatic drums, piano and subtle percussion sets the scene for Charles’ half-spoken, hurt-filled vocal. Cooing harmonies and lush strings sweep in, as if trying to sooth his hurt. As the drama builds, this sets the stage for Charles’ heartbroken vocal. Filled with pain and despair, the emotion is almost tangible. His vocal is slow and thoughtful, as the understated arrangement unfolding behind him. It grows, not just in power, but in beauty and emotion. Swathes of strings, jazz-tinged guitar, percussion, dramatic, driving, drums, piano and tight, soulful and heartfelt harmonies. Against this emotive, dramatic, backdrop, Charles unleashes a heartbroken, powerful, vampish vocal. It’s equal measures melancholia, heartbreak, emotion and controlled power. How Does It Feel has a similar understated arrangement. Meandering along, keyboards join the rhythm section, which features a jazzy guitar. They’re joined by tender, heartfelt harmonies and percussion. Soon, the falsetto lead vocal questions and probes, asking “How Does It Feel.” It’s a mixture of tenderness and insecurity. Soon, there’s a sense of urgency and drama to the arrangement. Harmonies sweep in. They’re accompanied by the bass and guitar and help drive the arrangement along. Later, a blazing horns adds to the emotion and drama, before the vocal becomes an emotive, pleading vamp. The interplay between the vocal and harmonies is peerless, and crucial to the success of this eleven minute epic. The title-track We Go Back A Long Way was the lead single and reached number five in the US R&B Charts. No wonder. It’s another slow, sultry song. Just a piano and understated rhythm section combine with the vocal. Impassioned and filled with emotion, finger-clicks and harmonies accompany it. Here, Bloodstone revisit their doo-wop past, combining it with soul, jazz and funk. This proves really effective. A combination of a deeply soulful, needy, pleading lead vocal is accompanied by doo-wop harmonies. As for the arrangement, not only is it funky, but has a jazzy swing. This proves a compelling and effective combination, where Bloodstone’s musical past plays a huge part in the track’s success. Funkin’ Around sees a real change in style. From the call of “1-2,” gone is the fusion of doo-wop, jazz, funk and soul. Replacing it is a hard driving fusion of P-Funk, funk and soul. The rhythm section unleash their inconsiderable skills and provide an uber funky backdrop. Joining them, are stabs of blazing horns and percussion. From the get-go, Bloodstone seem to revel in the change of sound. It’s like a party atmosphere. Again the interplay between the lead vocal and harmonies is peerless. They’re encouraging each other to greater heights. Tight, sweeping soaring, harmonies accompany a joyous lead vocal, as Bloodstone demonstrate their versatility. My Kind Of Woman is another uptempo track, full of poppy hooks. Bloodstone combine soul, doo-wop and funk. The all-star band set the scene for Bloodstone, providing a choppy, funky backdrop. This comes courtesy of the rhythm section, keyboards, growling horns and jazz-tinged guitars. Bloodstone then do what they do so well. They combine soul and doo-wop. Just like the vocal, the harmonies are soulful, urgent and joyful. Sometimes, there almost chanted, as if in celebration. The result is a hook-laden, dance track that’s stood the test of time. My Love Goes Stronger is an intriguing track. It has a foot in two decades. These were two very different decades. Straight away, you hear the harsh, early eighties, synths which blighted many an album. Much better is the seventies funk sound. It’s much more organic, and comes courtesy of the all-star rhythm section. They provide the backdrop for Bloodstone’s vocal prowess. It has a seventies classic soul sound. Feeding off the harmonies, Charles’ vocal mixes power, passion and emotion. He then heads off on one of his trademark vamps, which is one reason why the good outweighs the bad on this track. Nite Time Fun, which sounds like a party in the studio, closes We Go Back A Long Way. Against a backdrop of chatter, percussion, rhythm section and synths combine. A holler signals the entrance of the vocal. Flanked by harmonies and handclaps, four minutes of good-time, party music unfold. It’s a fusion of musical styles, influences and decades and sees another change in style from Bloodstone. Forever striving to innovate, they realised that a new musical era had dawned. Standing still wasn’t an option, so they combined their old sound with the new, in an attempt to prolong their twenty-year career. Bloodstone’s We Go Back A Long Way is an intriguing album. It’s very much an album of two sides. The three tracks that were on side one of the vinyl version of We Go Back A Long Way see Bloodstone at their very best. Go On and Cry, How Does It Feel and We Go Back A Long Way are a real fusion of styles. This includes soul and doo-wop. Add to this elements of funk and jazz, and the result is a flawless side of music. Much of this was thanks to the all-star band The Isley Brothers hired. They helped ensure that side one appealed to Bloodstone’s loyal fans. Side two was very different. If side one was old Bloodstone, side two was the new Bloodstone. Starting with Funkin’ Around, it’s as if Bloodstone are reinventing themselves and in the process. As they showcase their versatility, Bloodstone become a good-time, party band. Fusing funk, soul and on occasions, eighties electronica, it was almost like the reinvention of Bloodstone. My Kind Of Woman was easily the best track on side two. Filled with poppy hooks, it’s a truly timeless track. On the penultimate track, the seventies and eighties collide head on. Saved by Blackstone’s vocal prowess and the all-star rhythm section, this sets the scene for the good-time sound Nite Time Fun. With its celebratory sound, it’s as if Bloodstone are toasting their reinvention. However, they celebrated too early. While We Go Back A Long Way was relatively successful, it didn’t come close to replicating the success of Natural High. It fared better in the US R&B reaching a respectable number eleven, but stalled at a disappointing ninety-five in the US Billboard 200. At least the title-track reached number five in the US R&B Charts. Ironically, this featured Bloodstone’s “old” sound. That Bloodstone didn’t neglect their trademark sound is no bad thing. If they had, they’d have risked alienating their existing fan-base. Given it was shrinking with each album, that wasn’t as big a risk as it might have been. However, their trademark sound resulted in the top biggest singles from We Go Back A Long Way. Indeed, after We Go Back A Long Way, Bloodstone never reached the same heights. 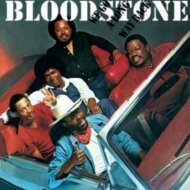 Following We Go Back A Long Way, Bloodstone only enjoyed two more hit singles. They were from their 1984 album Party, which failed to chart. Neither 1999s Go On and Cry nor 2004s Now That’s What I’m Talkin’ About replicated the success of Natural High, Bloodstone’s most successful album. Commercial success was but a distant memory for Bloodstone. Despite this, Bloodstone still have a loyal fan-base, who will welcome Purpose Music Vault’s recent release of We Go Back A Long Way. While We Go Back A Long Way wasn’t Bloodstone’s most successful album, it demonstrates just how eclectic their music was, and how versatile a band they were and are. Standout Tracks: Go On and Cry, How Does It Feel and We Go Back A Long Way. ← ONE WAY FEATURING AL HUDSON-ONE WAY FEATURING AL HUDSON.